Because you demanded it! The Merc with a Mouth and the Webbed Wonder are teaming up! An epic 50th issue - guaranteed to blow your socks off! READ WITH EXTRA SOCKS! 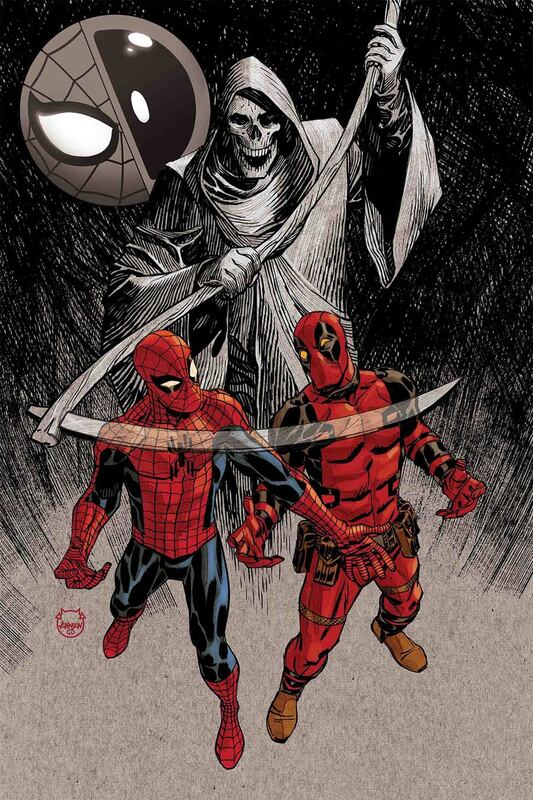 Spider-Man and Deadpool fight the Manipulator for the fate of the entire Marvel Universe! I HOPE THEY PULL IT OFF! I REALLY LIKE THIS UNIVERSE! I'M SO WORRIED!